Do you need a bigger file? The file available on this site is 1024 x 704 px. To obtain an alternate file type or higher resolution copy, please contact the owning institution. 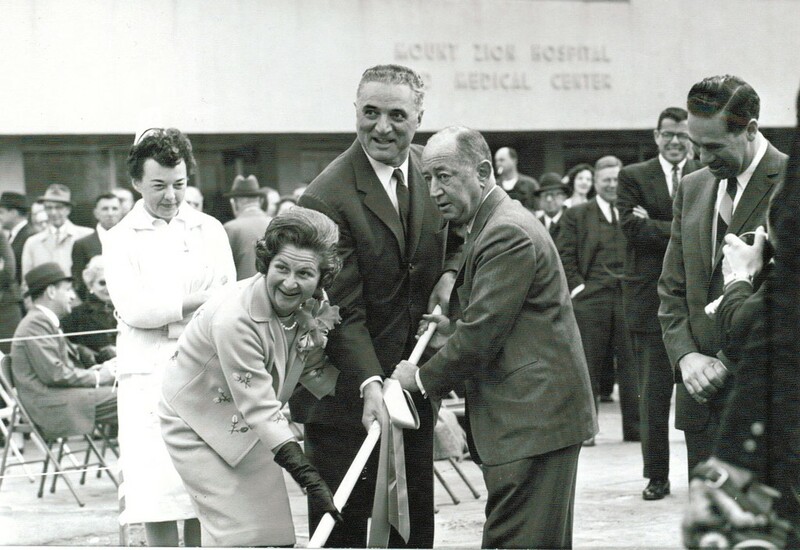 Scope/Content: L-R, Shirley Chase, outpatient nurse, Doris Blum, Mayor George Christopher, President Marco Hellman. Ground breaking for new outpatient building.